We are committed to providing first-class foot care in Dallas, TX and Plano, TX, and the surrounding communities, including Dallas, Plano, Frisco, McKinney, Richardson, Garland, Rockwall, Allen, Arlington and Fort Worth, TX. No matter what foot or ankle issues are causing pain or difficulty for you or your loved ones, Dallas Podiatry Works will create an effective treatment plan to restore your health. Keep reading for directions to our Dallas podiatry office, or else click here to jump to the directions for our Plano office. Our Dallas podiatry office is located in the Medical City Dallas Hospital – at the intersection of Forest Land and North Central Expressway – in Building A, Suite 212. You can either use the covered area across from Building A or opt for valet parking in front. 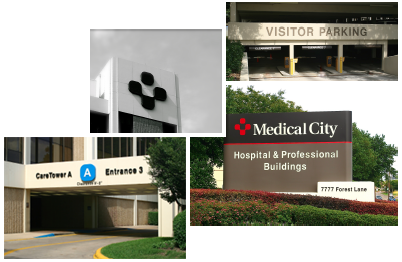 Once inside Medical City Dallas Hospital Building A, take the elevator to the 2nd floor and follow the signs to Suite 212. 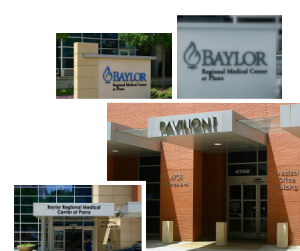 Our Plano podiatry office is located in the Baylor Plano Hospital campus on Alliance Boulevard, at the corner of Preston and George Bush Turnpike. We are specifically located in Pavilion 1, Suite 475. You can either choose to park across from Pavilion 1 or use the valet service found in front of the building. Once inside, take the elevator to the 4th floor and you will find our office – Suite 475 – conveniently located right there. Scheduling Your Appointment with Dallas Podiatry Works Today! Now that you know where to find us, it’s time to schedule your appointment with our Plano or Dallas podiatry office to take care of your foot issues. Simply give us a call at 972.566.7474 or use our online appointment form here to get started on your road to healthy, happy feet today.